In mid-August, Ontario Racing (OR) chair Hugh Mitchell addressed a number of issues facing the association group that represents the industry to government — including long-term funding, funding for Ontario Racing itself, working with government with an election looming in 2018 and why all of this is taking so long. Where is Ontario Racing today compared to when it was first formed and what might the immediate future hold for it? Can you give me a broad overview? Ontario Racing officially started in April of 2016. So, we’re about a year-and-a-half old. We evolved from the (Ontario Horse Racing Industry Association) OHRIA model. We have just finalized our governance structure… getting our bylaws established, getting our corporate policies, board policies in place and a governance structure that has evolved from the old OHRIA model. It’s broader and, we believe encourages more industry engagement and involvement. So, I’m pleased with that progress. The other two huge pieces yet to be finalized is working with government and the OLG on a long-term funding model for the industry, as well as working with government and OLG on the model to fund OR on a long-term basis… Although it’s a membership-based industry association, there’s no membership fees paid. So, it has to be funded somehow, some way… It’s my personal hope that we can resolve most of those important funding issues before the end of the year, or sooner. That’s what we’re busy working on now. In addition to that is the whole Horse Improvement Program (HIP). We just recently had a consultant’s report filed with our board, as a draft, on a HIP review process that took a month or so. So, the immediate challenge is finalizing the program for 2018. That’s not likely going to happen until early-to-mid-September, but, you may recall, that we were quite late last year doing this. Our intent is to be much earlier than January or February announcing what the 2018 program is going to be. It’s my challenge to see that the program gets finalized and shared publicly in September… I’ll be honest with you. On a personal note, it’s been heavy lifting… Regretfully, we lost a good executive director in Rob Cook just recently. So, we’re beginning that search process. There’s been some hiccups and certainly the timeline has not moved as quickly as I, personally, would have liked. On long-term funding, Ontario Racing did some province-wide consultations beginning in the latter half of 2016. The numbers proposed at that time was annual funding of some $94 million to cover a term as long as 23 years (through 2038). 1. Is that long-term funding model still the one Ontario Racing is working on getting passed? 2. How is finalizing that funding impacted by next year’s provincial election? Is it your sense that the government needs to get re-elected for this funding to happen? Why has it been so challenging to get the funding issues resolved? I think the challenge has been getting everybody aligned, which means government, which means government agencies like OLG (Ontario Lottery and Gaming corporation) and AGCO (Alcohol and Gaming Commission of Ontario) and then it means the industry. The industry, as you know, is made up of breeders, horsepeople and racetracks and there’s three breeds. So, when you think of all the pieces to the puzzle, it can be pretty protracted and convoluted in getting alignment and agreement on certain initiatives. So, I think it’s the nature of the industry and it’s new relationship with government and government agencies that has made it (challenging), because it’s the first time through, really. We never had a situation where the OLG provided oversight to the industry before. Previously, we had a commission, the Ontario Racing Commission, and it had direct accountability to government. So, that structure has changed and that’s new for everybody. That, in itself, doesn’t make it negative, it just means we’re learning as we go. But, no matter what the reason, we have to get better at moving the needle quicker, in my view — we being OR. That’s the challenge. That’s where our focus should be. 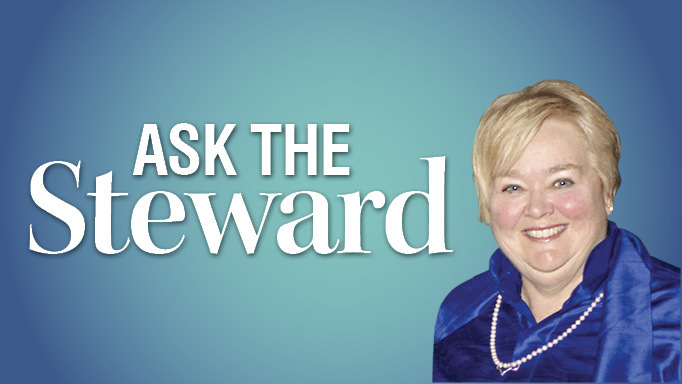 What can you tell us about why Ontario Racing executive director Rob Cook left? 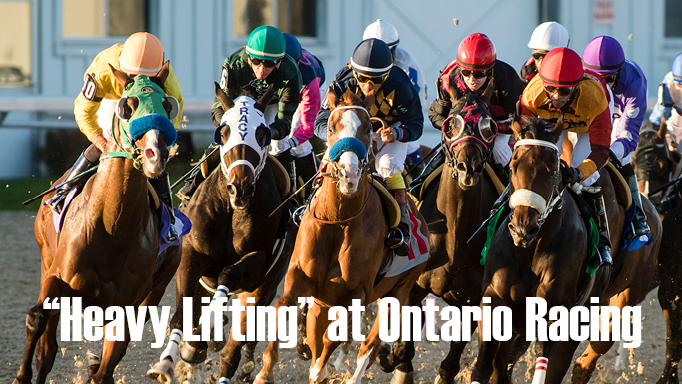 How is Ontario Racing different than its predecessor the Ontario Horse Racing Industry Association (OHRIA)? How do you respond when you hear some in the industry are getting impatient? “Once a month. In the early days we need to be meeting monthly, I think. We have full agendas and there’s good interaction with the OLG. What is the interaction like between Ontario Racing and the OLG? What is your response to those that feel that they are not represented at OR’s table? You also mentioned HIP funding. The way things are going so far, do you expect drastic changes on the thoroughbred side? 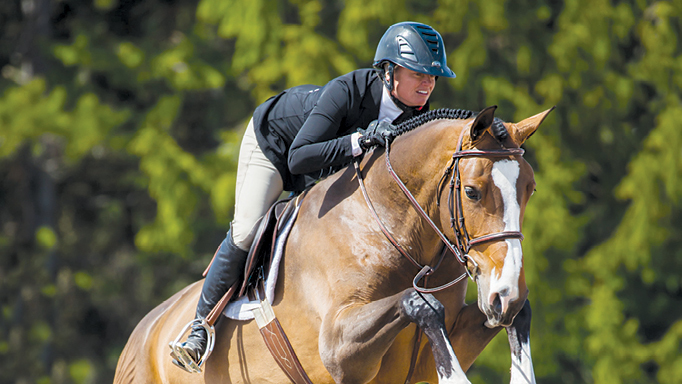 Some thoroughbred breeders are concerned about the Ontario Sired program. 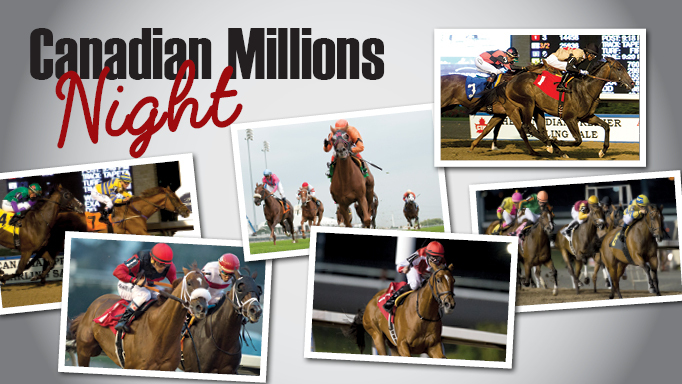 Any thought on OR’s role in the thoroughbred Ontario Sired program? You have to deal with distrust of Woodbine in some circles of the industry, but there’s also distrust of Ontario Racing, the OLG, government. Is that another challenge facing the Ontario Racing board? Are we spreading the pie too thin and having too many race dates? Have you discussed that issue at Ontario Racing? How to show like a professional. 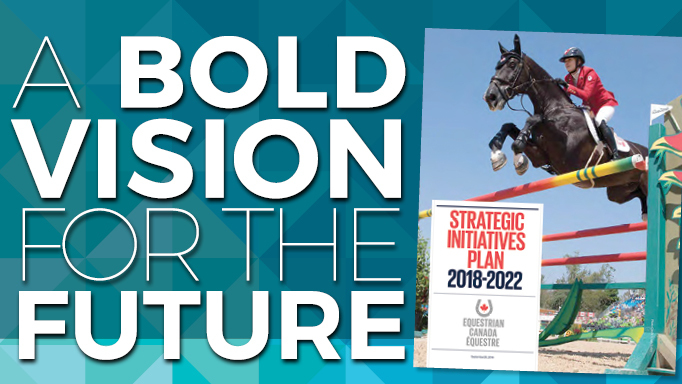 At look at the goals and pathways of Equestrian Canada’s Strategic Initiatives Plan 2018-2022.